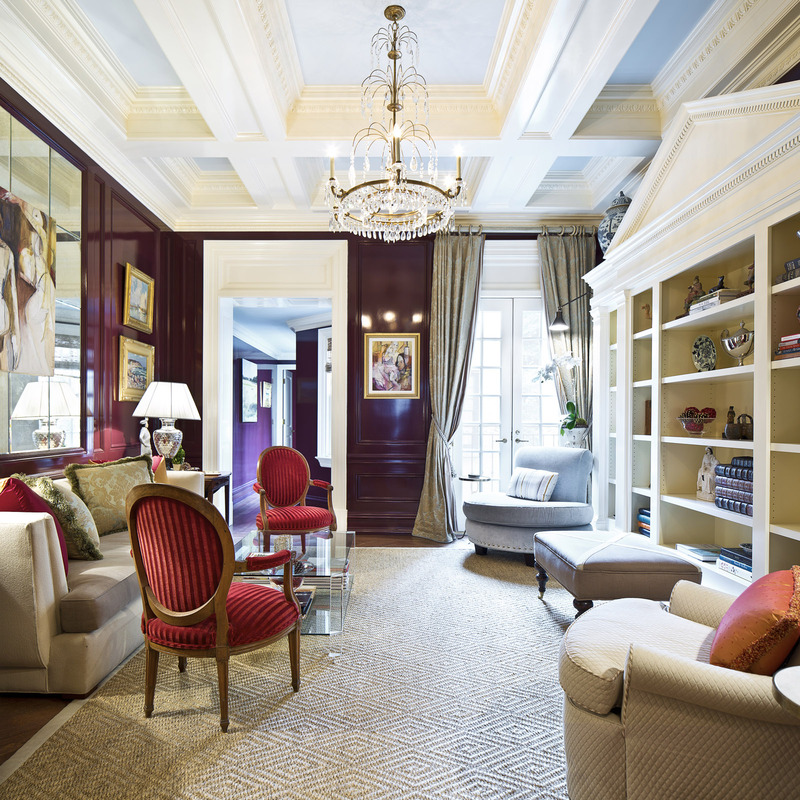 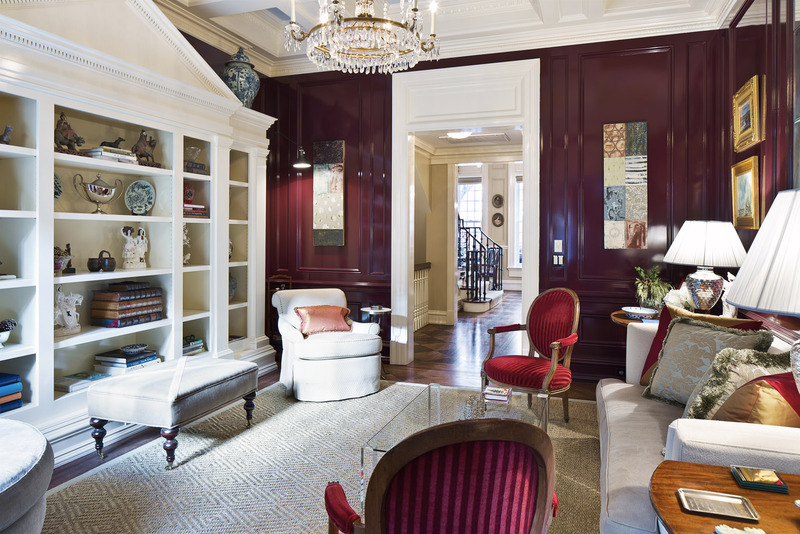 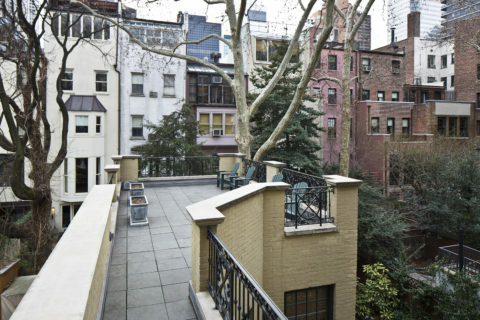 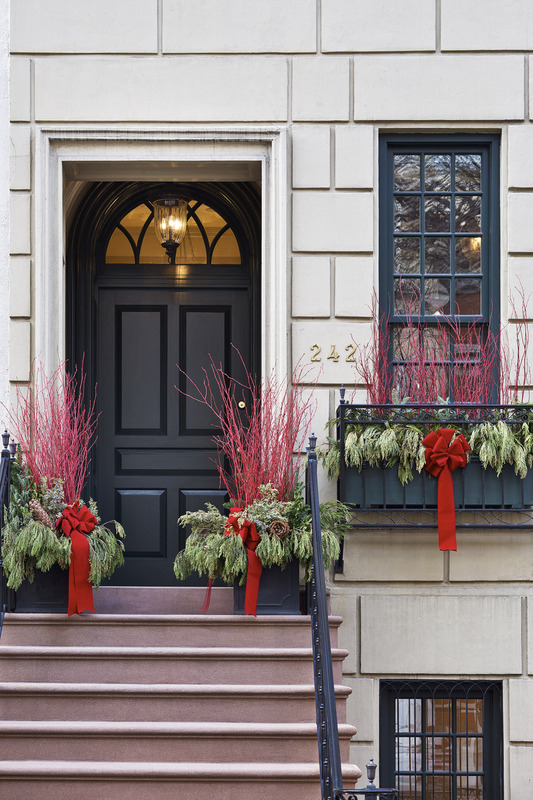 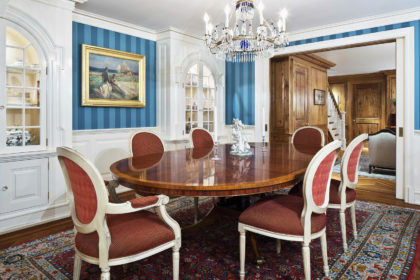 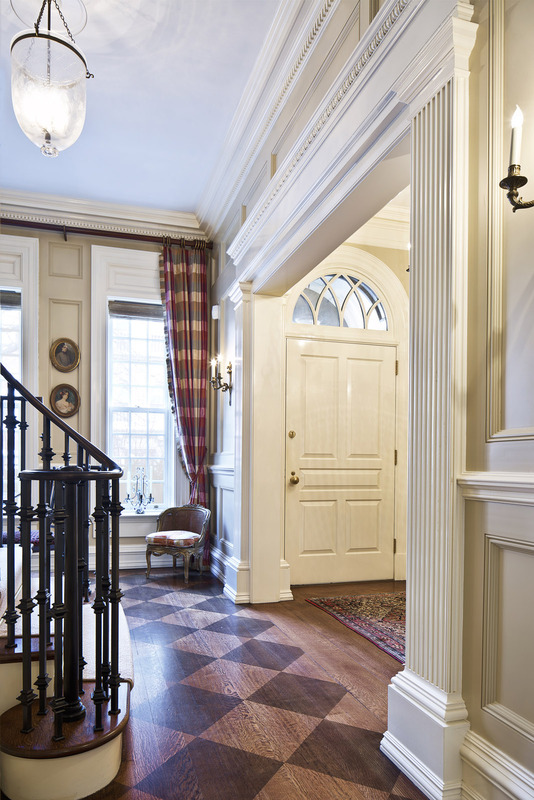 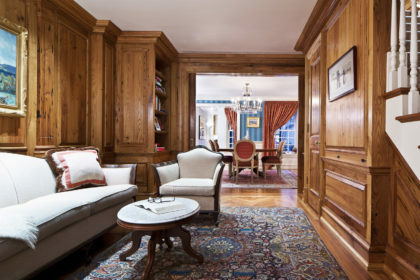 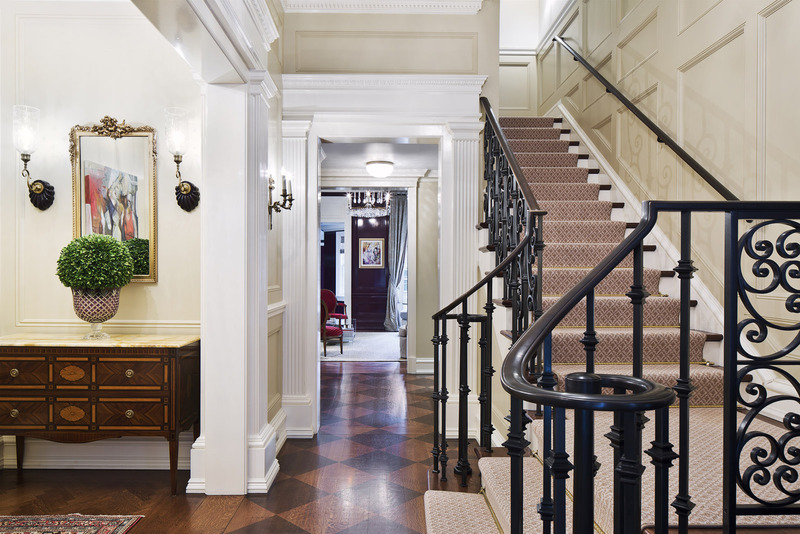 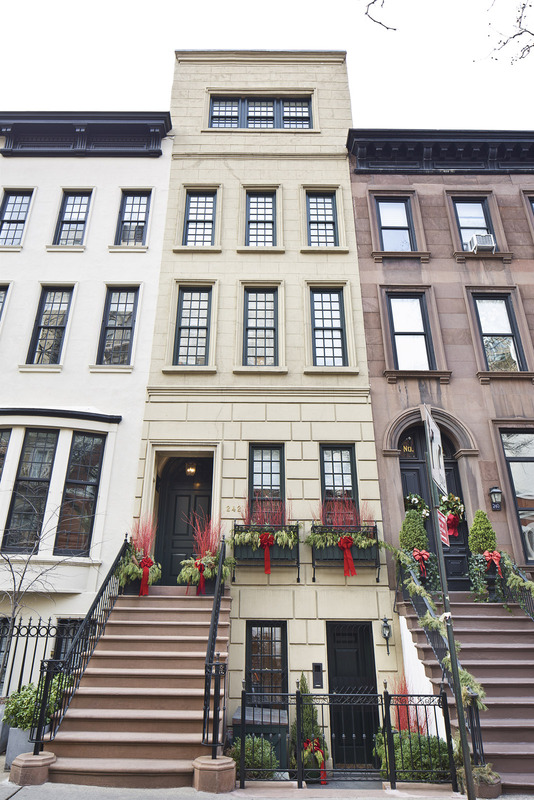 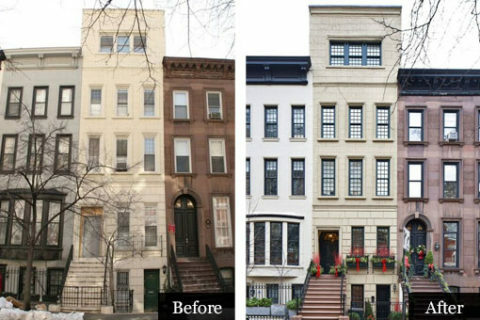 A land marked 1860s vintage brownstone townhouse on Manhattan’s Upper East Side presented an array of challenges to realize the vision of its new owners. 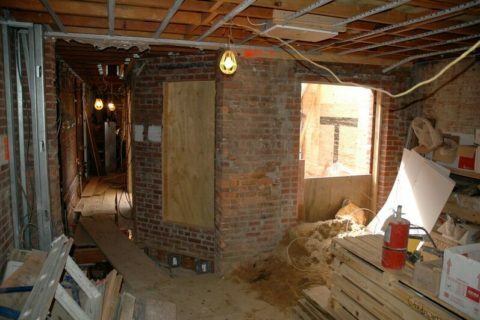 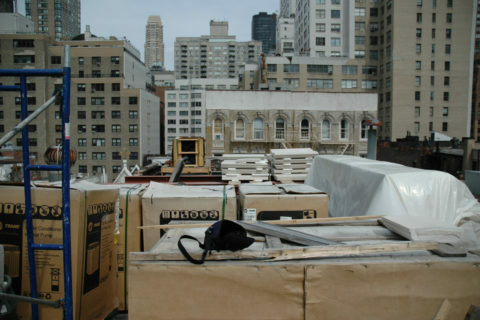 What began as a project focused on the upper two floors of the structure morphed into a gut renovation of the entire building. 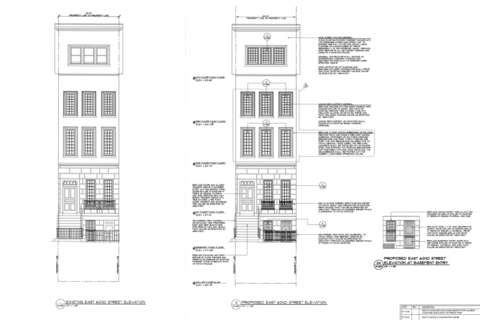 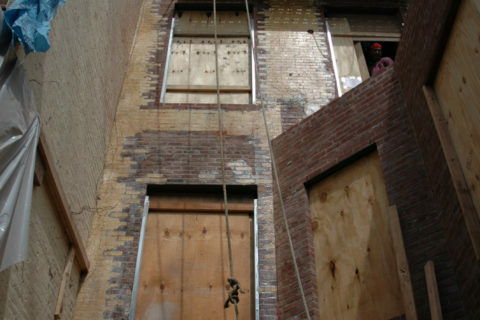 The townhouse consists of two one-room wide building volumes which include the five-story cross street-facing brownstone and a two story brick masonry wing with a rooftop terrace behind. 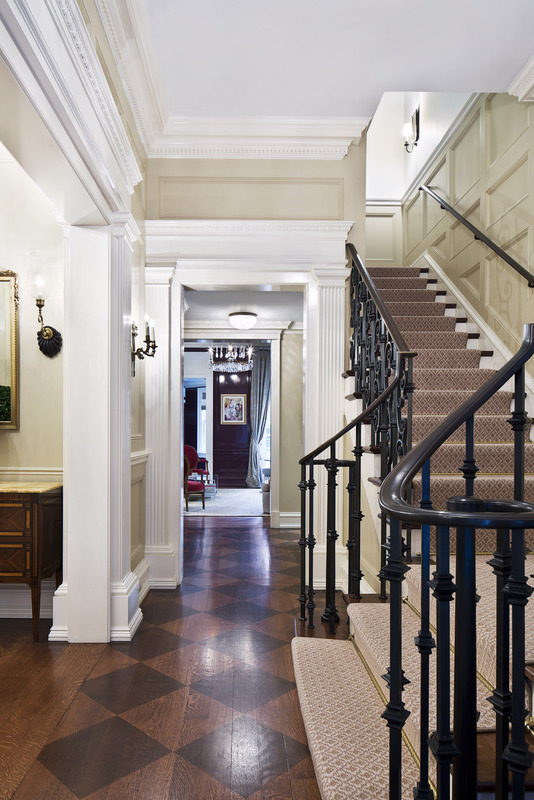 A hallway overlooking a cloistered U-shaped garden links the two structures on both the first and second floors. 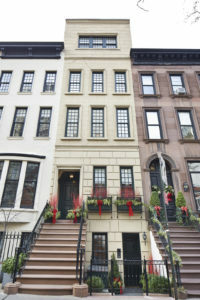 At some point in the building’s long history, a single family home was altered to become a three family dwelling. 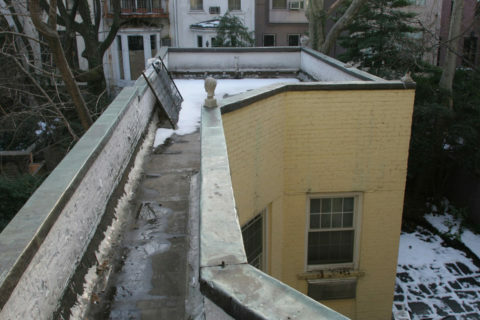 Consequently, all vestiges of the original home were not to be found. 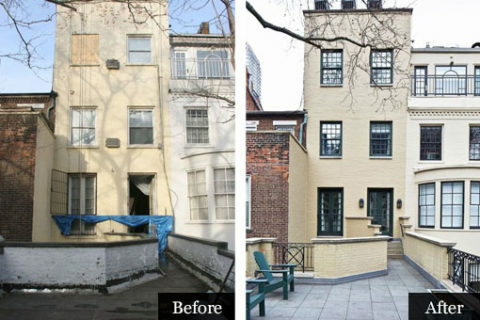 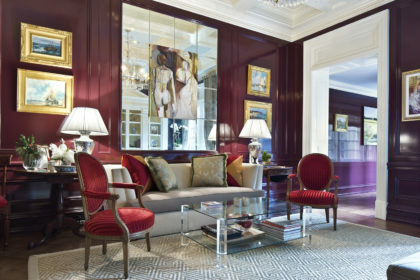 Faced with this knowledge and the “compartmentalized” nature of what their home had become, the owners directed Soper Babcock Associates to start over and make the multi-family dwelling a single family home once again. 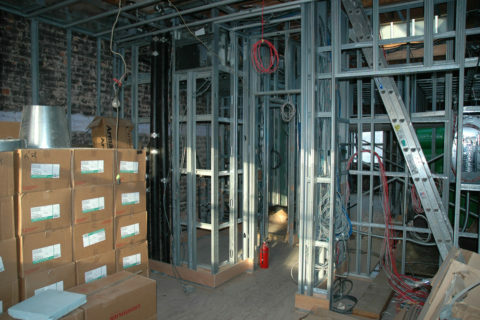 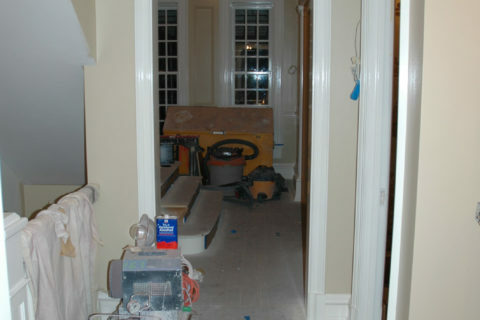 Based on the condition, age, and altered layout of the building, a gut renovation was agreed upon to achieve optimal results. 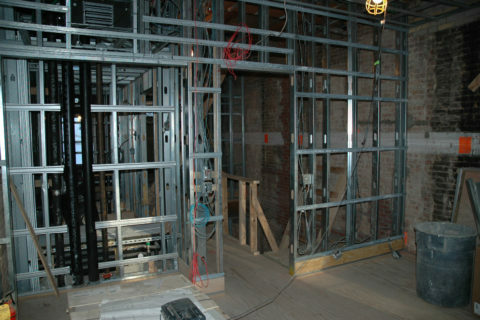 Space planning ensued with a blank canvas to work with. 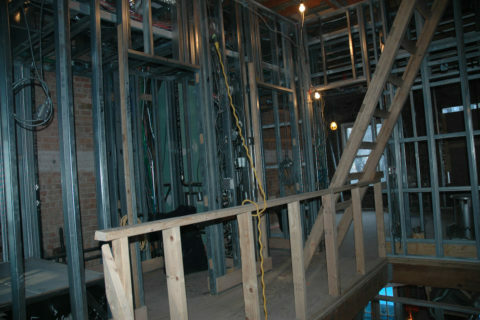 A central five story stairwell replaced the various area consuming stairways of the old layout. 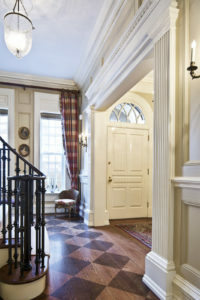 Public spaces including the entry hall, living room, dining room, study, etc. 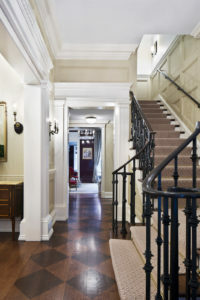 occupy the first two floors with family bedrooms on the third and fourth floors, and a guest bedroom suite, exercise room, and second kitchen on floor five. 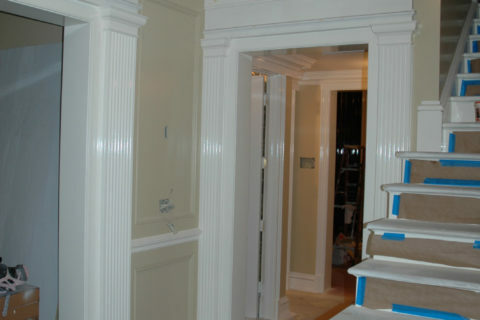 The finished basement level has a 400 bottle wine cellar and cedar storage suite. 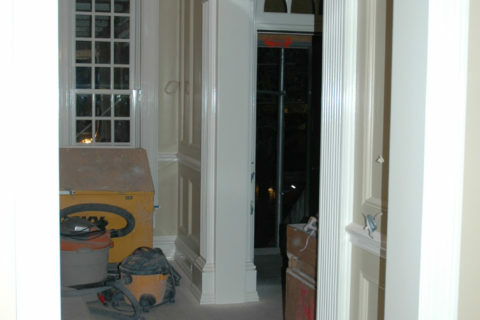 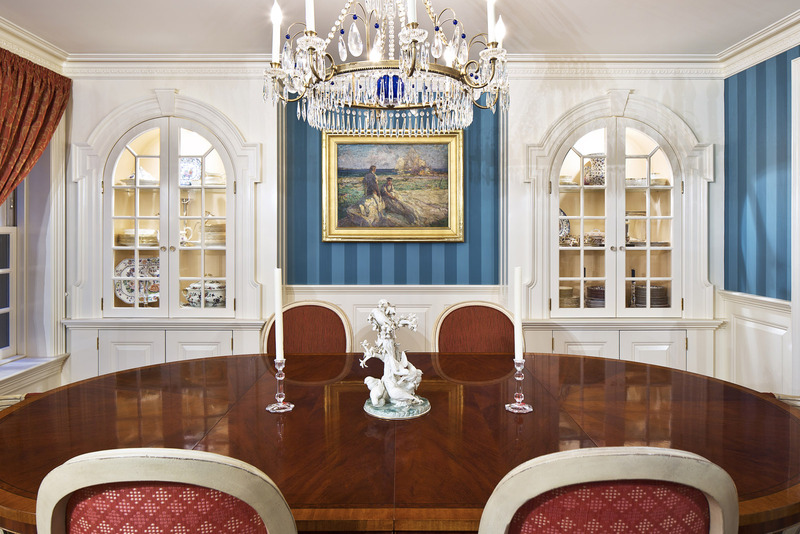 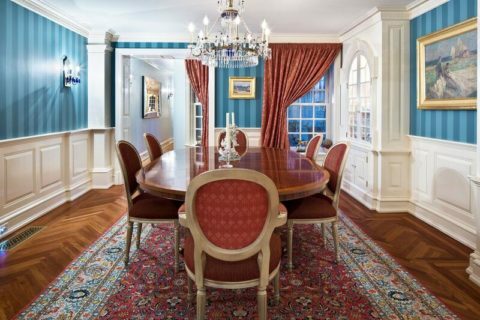 The 12 foot high ceilings of the parlor floor allowed for the introduction of extensive plaster cornices and coffered ceilings, the latter of which serves both decorative and functional purposes in concealing new mechanical ductwork and piping systems. 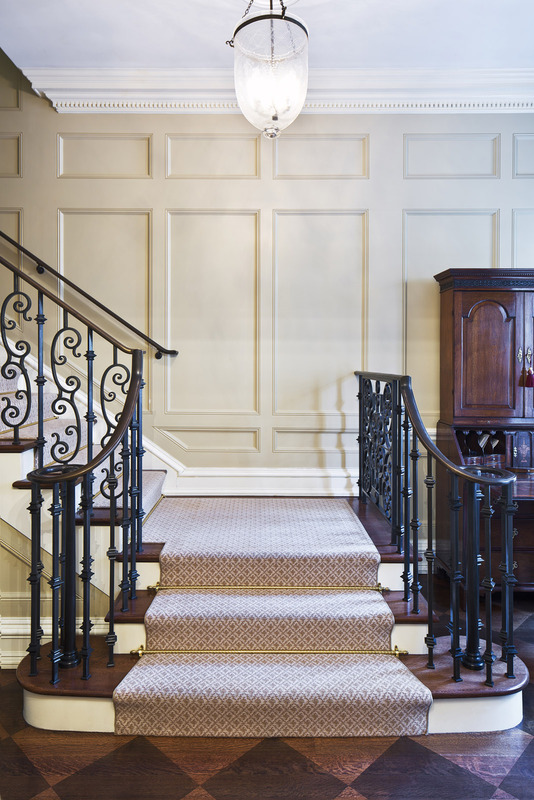 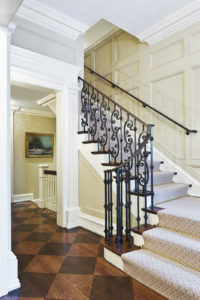 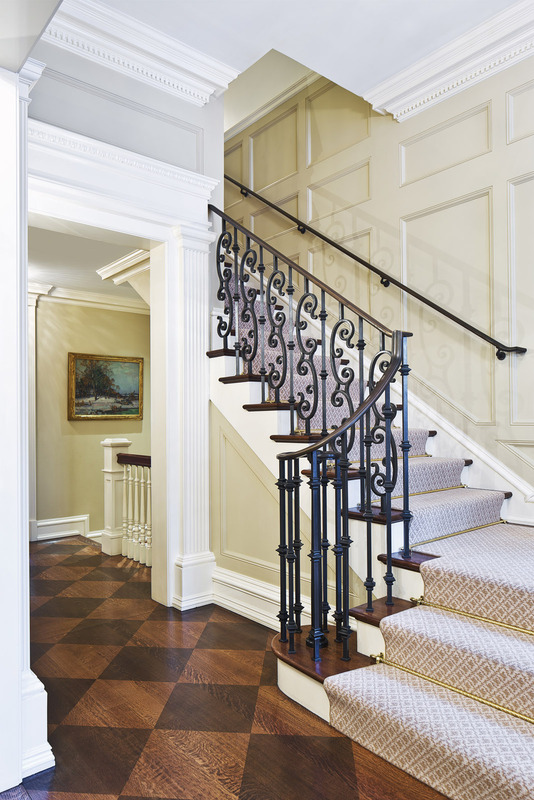 Floor to ceiling plaster paneling adorn both the entry hall and living room walls with custom designed bronze handrails and iron balustrades astride the entry hall stair.